World Aviation Helicopters will make a helicopter flight exhibition within the activities programmed by the Marbella Luxuy Weekend organization that was presented today by the municipal delegate of Tourism, Javier Porcuna and the promoter of the event, Miguel Gómez. Marbella Luxury Weekend will be held in Puerto Banús between June 2 and 4. For his part, Miguel Gómez has ensured that for three days “the municipality will become the epicenter of luxury in Europe” and stressed that Marbella “is the Andalusian city that monopolizes more brands and luxury establishments, being after Barcelona the Spanish city that more income obtains for this concept “. In the program of activities highlights the Marbella Luxury Forum, which will take place on June 2, at the Goya Theater Cinemas of Puerto Banús. The forum, which will be held under the Ibero-American Cities Forum, will have a plenary session format in which the various personalities and professionals will give their point of view on the challenges facing the luxury sector. The event will begin at 9.30 am with the official inauguration by the mayor, José Bernal, among other authorities. The day will continue with the presentations ‘Talent and sensory management in luxury services’, by the general director of Les Roches, Carlos Díez de la Lastra; and ‘The art symbol of excellence’, on the part of the director of the Contemporary Art Center, Fernando Francés. It will be followed by the presentations ‘The city and the emotions’, by the mobility expert and public spaces José Luis Cañavate; and ‘Components for a city object of desire’, by the architect José Antonio Granero. Likewise, a golf table and other presentations will be held such as ‘The Spanish taxation of expatriates as a mechanism to encourage foreign investment of high purchasing power’, by the president of Global UHY, Bernard Fay, and the senior director of the company, Immaculate Domecq; ‘The artificial intelligence revolution’, co-founder of Greubel Forsey, Stephen Forsey; and ‘Core-more world introduction of a luxury brand’, by Core Mas Ceo, Mark Sanders. 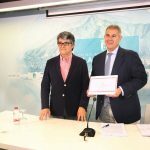 The day is completed with the presentations ‘CasaClub, locomotive tourism, luxury and positioning of the city of Marbella’, by the Vice President of the CasaClub, Luis Marín; ‘Disruptive economy’, in charge of the Ceo of R-2 Group, Juan del Río; and the interventions of the founder of HYT, Lucien Vouillamoz and the CEO of La Maison Pianegonda, Franco Pianegonda. The program of Marbella Luxury Weekend is completed with musical performances, model passes on the only aquatic catwalk in Europe and gourmet events. Among the musical performances include Brass Band, Hula Hula, Michel Fadel, Alvaro Mur, a flamenco flash mob, Charlotte and Guitar Slide Show. There will also be model passes by Ecaille, Abed Mahfouz, Maldito Sweet, MDA Deluxe Editio and Glamor Hunter Luxury Courture and a helicopter flight display by Worldaviation. While the number of flights has been multiplying for four years, even at the double digit rate in the summer season, air workers do not do so at the same pace or in the same proportion. The sector is short of cash and this shortage, as international as the journeys of most of the companies, is noticeable in Spain and may compromise the future demand of the airlines. Drivers, flight attendants and pilots are professions with deficits although, due to different circumstances and their particularities, not all are currently among the most demanded within the sector. Specifically in the case of pilots, in Spain only 6,433 people are licensed to fly a commercial aircraft, according to a report prepared by the business news agency pyme.info. The State Aviation Safety Agency (AESA) reports that during the past year commercial pilots with ATPL (Airline Transport) license -both for airplanes and helicopters- in Spain grew by only 2.6%. And, nevertheless, those who studied studies aimed at obtaining the degree of commercial piloting took all the positions available in the Spanish aeronautical schools. According to the agency, the 2016 Airport World Traffic Forecast report from the Airports Council (ACI) will require at least 112,000 new professionals in the next 20 years, at an annual rate of almost 6,000 new pilots to meet the growth of air traffic. According to this global need, Spain should incorporate 1,120 pilots, since it takes 19% of the passenger traffic of the EU, according to Eurostat. However, to reach this figure the pilot schools should increase their capacity fivefold, since only 228 pilots obtained the license in 2016 in our country, after two years of training. This number, according to the report of pyme.info is insufficient to cover both the future needs of airlines and those of pilot schools where they obtain accreditation. The reason is that the existing professionals (in 2016 were 985 active instructors) should be divided between the airlines and the schools. Therefore, according to the agency, manufacturers and airports confirm that it is necessary to train more than 1,000 new pilots a year in Spain. The aircraft builders Boeing and Airbus also foresee a shortage of professionals in air transport. Both estimate that traffic will grow above 4.5% until 2035 and that in Europe it will increase more than 3.5%. The American manufacturer was already collecting in its Pilot and Technical Forecast that between 2017 and 2035 it will require 617,000 new professionals; in particular, 104,000 for Europe and 1,098 for Spain. Meanwhile, the Global Market Forecast 2016-2035 of the European Airbus consortium expects the number of pilots to double in this time frame, which would mean the incorporation of 250,000 for 40,000 aircraft with more than 100 seats. In this way, the annual demand for pilots worldwide would reach 30,000 per year. The increase of air traffic must be added an important factor: retirement. Last year 68 pilots retired in Spain. The renewal of the staff may not have been particularly significant so far, but it will increase in the next five years. This problem will be especially pressing on US airlines. Considered as an exciting activity, for adventurous and restless spirits who, in most cases, live with a great passion: flying, the profession of pilot resurfaces with its usual halo of prestige and recognition. After the stagnation of the pilot market caused by the economic crisis and due to a massive retirement, the need to cover these losses together with the new EASA (European Aviation Safety Agency) regulation that forces a large part of operations to be carried out with two crew members, have generated a strong demand that must be met. However, being a pilot entails a great responsibility and you need to develop certain skills so when deciding where to train you have to know how to choose. World Aviation Helicopter Flight Academy, a school run by professionals with more than 25 years in the aviation sector, is specialized in training helicopter pilots, being the only school with bilingual training in Spain, with a wide variety of courses ranging from pilot Private (PPL) to Instructor courses (FI, TRI). To do this, it has international instructors with extensive experience in training new pilots as well as rescue work, fire fighting, aerial work or commercial flights that provide a personalized teaching adapted to their needs. Currently, the Flight Instructor Course promotion (FI-H) 2017 is in its final phase, with an unprecedented number of students. The school has several training centers in different locations in Spain, strategically located: Madrid – “Cuatro Vientos”, Malaga – “International Airport of Málaga” and Gerona (airport and private heliport in “Platja D’aro”), the latter in approval phase, which allows covering a greater geographical coverage when choosing. In all of them, an ideal training camp is offered for students to face scenarios that they will find in the exercise of the profession, flying both in international airports and congested areas or complex operations. In recent months, the fleet has been extended with the acquisition of new helicopters specially designed for training, while two simulator centers have been incorporated under the WORLD AVIATION SIMULATORS brand, located in Madrid-Barajas and Barcelona-El Prat, where A320 airline commercial aircraft type ratings and training in simulators (FBS) of models B737, ATR, CRJ, MD, CITATION, B200 and DASH8, among others, may be taken. Likewise, the school offers training for Dron pilots (UAV) with specialized instructors and state-of-the-art aircraft, having a volume of students that makes it the leading center in Spain. It should also be noted that its new maintenance workshop, under the name World Aviation Maintenance at the “Cuatro Vientos” aerodrome, completes this airline services and aeronautical training company whose main objective is to train professional and competent pilots, and in which The passion to fly is only overcome by the spirit of reaching the highest levels of security in all its operations. If your dream is to fly, WORLD AVIATION FLIGHT ACADEMY with its modern facilities, professional experts and unbeatable surroundings, will turn your learning into a hobby. World Aviation Helicopter Flight Academy opens the call for a new flight instructor course FI (H). The course aims to train holders of a helicopter license to safely instruct pilots or pilot students. On this occasion the training will take place from January 18 at the facilities of the flight school in Madrid, located at the Cuatro Vientos Airport. The purpose of this course is to train holders of a helicopter pilot license up to the level necessary to be able to safely instruct pilots or pilot students, for the issuance, revalidation or renewal of all those powers of which they are holders based on their experience and ratings in accordance with the provisions of the EASA regulations FCL.905.FI. This program is designed to show the importance of FI as a key element in security through the teaching of theoretical knowledge, skills and attitudes. To do this, the applicant will be trained in the methodological teaching techniques applied both in theoretical knowledge and in flight exercises, and finally in ensuring that the applicant has a high flight standard to carry out the function of a flight instructor with safety. . In this part the applicant will be instructed in the theoretical concepts on which the student’s learning process is based, the methodology and the teaching techniques that every instructor must possess in order to be able to instruct effectively. In this instruction the student is taught all the necessary concepts to carry out the instruction of the future pilot students and that will be put into practice in the flight part. The objective of this first stage is to instruct the student, giving him the theoretical and practical knowledge necessary to execute the flight maneuvers knowing the main nuances of the teaching, especially emphasizing the most common mistakes of the students in their flight principles. The objective of this stage is to instruct the student to be able to prepare and properly impart a practical session acting as instructor. You should also know the criteria when qualifying the corresponding sessions and the need to establish for each session a briefing before the flight and a post-briefing once finished. The European Aviation Safety Agency is preparing for the future that will allow the coexistence of manned and unmanned aircraft in the airspace with the imminent approval of the regulation of regulation of this type of aircraft. The European Parliament’s Transport Commission last week voted more than 1100 amendments aimed at strengthening the new “Basic Regulation” proposed by the European Aviation Safety Agency (EASA). The result has been a tightening of drone safety standards, tighter procedures for the coordinated oversight of safety by national aeronautical authorities, and a new article that obliges the Agency to address the way in which Socio-economic factors can affect safety factors. These measures have been adopted with the aim of establishing a solid basis for a future dialogue between the Council of Transport Ministers of the European Commission, which is expected at the beginning of 2017. Regarding the drones, Polloczek added that “this is crucial because our skies will be more crowded in the future, since new operators – like drones – will proliferate in the airspace. Therefore, we are particularly pleased with the establishment of safety standards for drone operations, which include the requirement of a pilot license for unmanned aircraft for commercial operations. This is good news, since the proposal of the European Commission lacked content. 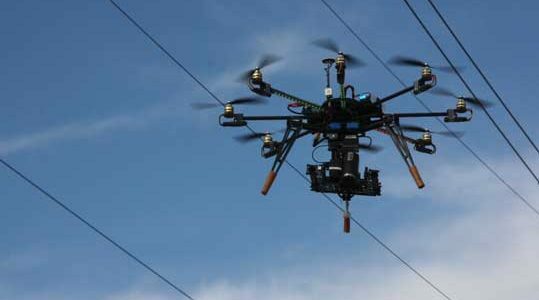 The Committee of Transport has taken into account the joint point of view of the interested parties, so that the unmanned aircraft develop their full potential and integrate safely in the airspace, that is, without endangering the manned aircraft. ” . Philip von Schöppenthau, General Secretary of ECA, took the floor to analyze the employment situation in the sector, “the security risks associated with new and opaque business models, atypical forms of employment such as” zero hours “contracts , self-employment or the systems that make pilots pay to fly, they need an urgent and comprehensive treatment that encourages EASA to adopt a key role in this matter “. ECA also welcomes other improvements adopted by the Committee, such as the amendments aimed at strengthening the coordination of safety oversight by the authorities and those that guarantee a separate review of the EU regulation. 1008/2008 as regards the prior approval of leasing operations with wet leasing services; to ensure that each cabin crew obtains a license; as well as specific amendments that prevent the exploitation of “Pay-to-Fly” schemes. The Pilot School World Aviation Helicopter Flight Academy opens the call for a new CPL (H) Integrated Helicopter Commercial Pilot course. The course, with 350 hours of theoretical instruction and 135 hours of flight, is designed to provide the student with the knowledge and experience to obtain a European flight license that allows him to work as a professional Helicopter Pilot. The course begins during the month of October in the training center of World Aviation Helicopter Flight Academy at the Malaga-Costa del Sol International Airport, although it will also be carried out in training areas and additional classrooms in Marbella and Veléz-Málaga / La Axarquía . In this way, students will have the advantage of learning to operate in different aerodromes, from regional airports to a busy international airport. They will also be able to know the characteristic flight conditions of the Costa del Sol, including the flight in mountain areas. 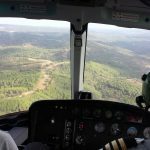 “Learn to fly or consolidate training as a helicopter pilot in the South of Spain provides a very complete experience for the student-pilot” says the commercial manager. The duration of the CPL (H) Integrated Helicopter Commercial Pilot course is twelve and eighteen months. It includes theoretical instruction in classes from Monday to Friday, flight practices, manuals, fees and administrative management of the license as well as the corresponding type of qualification. “We carry out a very personalized training, the schedules of the classes are developed based on an established schedule but adapted to the needs of the future pilots, since we are aware of the need to be able to make the training compatible with other activities. At all times the students have the advice of our teachers “says Ville Laaksonen. The company World Aviation Helicopters is currently the only company to offer tourist flights by helicopter on the Costa del Sol, in this fantastic experience you can enjoy privileged views and landscapes, spectacular contrasts of one of the areas of greatest tourist interest in the world. 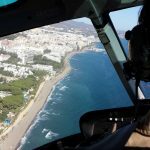 With a large team of professionals and a large fleet of helicopters, the company carries out tourist flights to the main Andalusian cities where the passenger can enjoy the charm of these and the towns and wonderful places of the routes that take us to them. “Not only do we have flights to the main capitals of Andalusia, we also organize flights of a gastronomic nature such as a visit to Corteconcepción in Huelva and enjoy Jabugo, sports or cultural ham visiting the wineries of Jerez, the Ascari circuit or any of the Andalusian sports ports. We develop a unique tourism experience for our customers, “says Ville Laaksonen, World Aviation Group Commercial Director. In just 45 minutes the traveler can be in such emblematic cities as Granada, Cordoba and Seville. In the tourist flight to Granada the itinerary begins bordering the Malaga coast and then fly over typical towns such as Antequera and Loja, Granada city, Sierra Nevada, the Alhambra etc. As well as the traditional and historic neighborhoods of the Albaicín and Sacromonte. The landscape of Cordoba, where the largest mosque in Europe is located, classified as European Heritage, can enjoy the views of the Guadalquivir River, the Cathedral, the Jewish Quarter and the archaeological discovery of Medina-Azahara, among other points of interest, without forget the white villages and the extensive traditional olive groves. Visiting Seville through the sky is a wonder for the multitude of buildings that have a designation of Universal Heritage in addition to the Cathedral of Santa Maria, the Alcazar or the Torre de Oro among other impressive views of the Andalusian capital. World Aviation Helicopter Flight Academy will participate in the First Aerial Festival of Torre del Mar, which will take place on 29, 30 and 31 July in Vélez Málaga. The first edition of the event places it as an attraction for aviation lovers on the Costa del Sol. The organization estimates attendance at more than 200,000 people. The Air Festival will take place in five hours full of various activities such as the possibility of mounting on a F4 Phantom Air Force hunt, as well as aerial demonstrations of fighter aircraft, historic aircraft, helicopters, civil acrobatic patrols and the participation of the Patrol Eagle. The program includes that the first day, July 29, will be at the Ingenio Shopping Center where the festival will begin; Saturday at the Aerodrome of the Axarquia will give way to the day of open doors and on Sunday 31 the air show will take place on the street Larios of Torre del Mar. For Ville Laaksonen, Commercial Director of World Aviation Group “this festival helps to promote the activities and services related to the Andalusian aeronautical sector”. In addition, Laaksonen has stressed “that the aviation industry is one of the most development is having in our autonomous community, and there is a growing demand for specialized technicians and pilots.” That is why World Aviation Helicopter Flight Academy, is committed to training and is currently the only aeronautical training center approved by the authority to provide courses for bilingual helicopter pilots throughout Europe, based in Madrid and Malaga. Some of the courses that are taught are the Helicopter Private Pilot Course (PPL-H), Commercial Helicopter Pilot Course (CPL-H), Helicopter Airline Pilot Course (ATPL-H), ATPL-H + Instrumental Enabling (ATPL-H + IR) among others.